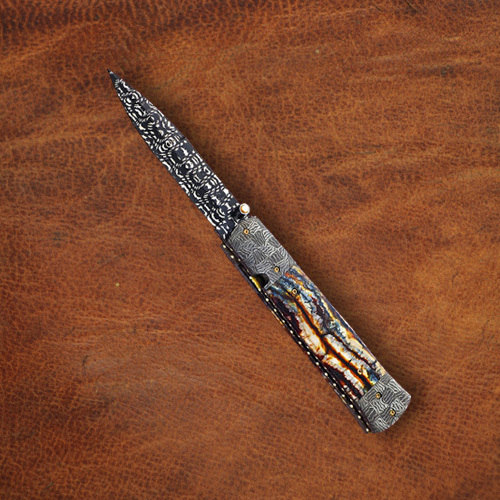 As a custom knife maker my goal is to provide the highest quality product at a value-added price. 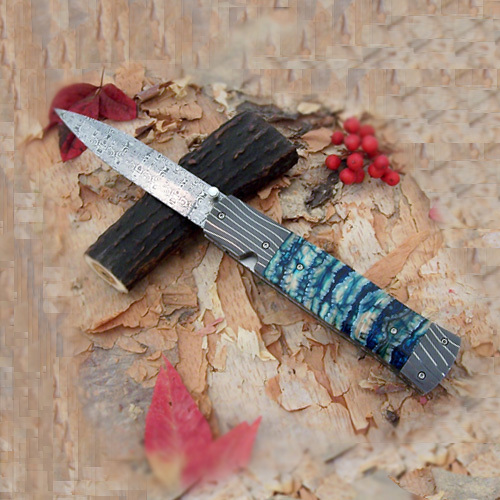 I want each of my custom knife owners to understand and appreciate both the artistic nature and usability that I bring. Whether in a guarded collection or tucked away in one's pocket my owners not only have a piece they can be proud of but are equally excited to share with others. Since becoming a custom knifemaker some thirty years ago I have continually strived to make the best knife that I am able to make. 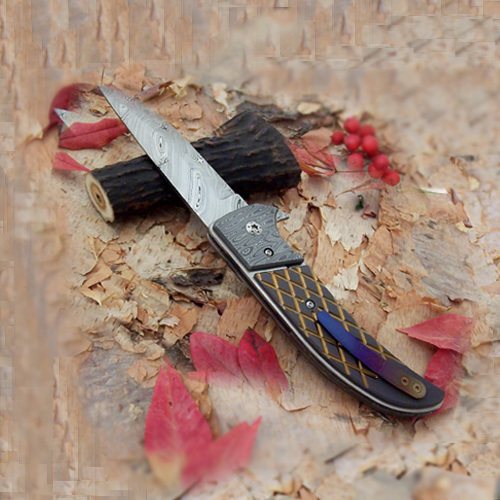 I am always working on new knife ideas and designs to better meet your knife interests. My main interests lie in folding art knives, but I do also make bowies, hunters, and every day carry folders. I make both linerlock, slipjoints, and lockback folders but tend to make more linerlocks than anything else. At present I am working on developing a line of smaller tactical knives. As for material choices I tend to use ATS-34, 440C, and Damascus from a variety of quality damascus makers for my steel choices. Handle materials range from Mother of Pearl, Mammoth Tooth, Mammoth Ivory, Tiger Coral, as well as Exotic woods, and Sythentic Materials. I am open to trying new materials so if there is something you would like to see used just let me know and I will look into it.